Well it’s that time again that Fools go where Angels fear to tread. My now annual stick my neck on the chopping block and predict a whole season worth of fixtures, injuries and dodgy decisions in an attempt to predict where Clubs will finish in the Ladbrokes Scottish Premiership League Table in May 2018. Celtic have to be favourites the Invincibles of last season start with the deserved tag of Favourites. Brendan Rodgers has built and kept a strong squad that has the happy habit of winning or at least not losing. A decent start in European Qualifiers with no Gibraltar style slip up has only enhanced the thought that the trophy will settle in the East End of Glasgow next year. That’s not to say a repeat of all conquering season, like season 1988 it is difficult to keep up the standards of going domestically unbeaten. With Fans Groups vocally grumbling and various off field Inquiries the only chance for the rest of Scotland is if these issues grow and begin to implode Celtic. Celtic Fans have grown accustom to sweeping aside all that stands in their way. Just as it’s a happy habit not losing one wonders how Brenan Rodgers Bhoys will react to the strange feeling of Losing should it happen. Celtic to win the league but not as comprehensively as last term. Players In: Olivier Ntcham, Jonny Hayes, Kundai Benyu. Players Out: Emilio Izaguirre, Efe Ambrose, Gary Mackay-Steven, Saidy Janko, defender (St Etienne); Logan Bailly, Kris Commons. Loan: Scott Allan, midfielder (Dundee). Rangers in Second after the debacle of no progress in Luxemburg but Sadly for Scottish Football the low standing of our game in UEFA lists means that Scottish Teams are going to have to get with the program and be up for the Europa Cup in early July or else. Pedro Caixinha building a team from the ashes of the Warburton experiment. The common theory is that Rangers have good players just not a good team. 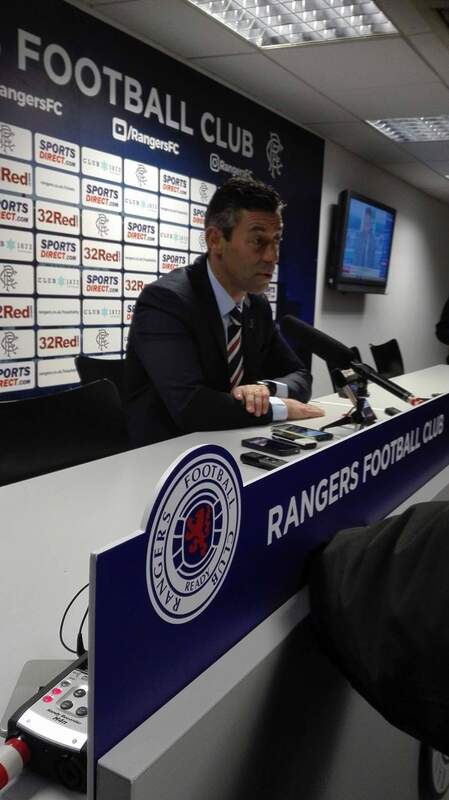 So far Pedro’s Rangers version one has lacked game time. A lot of work is needed you have a Managers vision needing cemented on to Players who are either used to Last Seasons unchanging Tactical Standard of Warburton or new players finding their feet at Ibrox. So far Rangers have flattered themselves. At times they have looked like they were not even aware of each other’s names. The importance for Rangers is to tune into to each other. Brendan Rodgers managed to gel a rag tag group of Ronny Deila’s squad and supplement it with fresh quality players last term and the little Portuguese Ibrox Gaffer has to do the same. The early exit from Europe means if Rangers are detached in the League in October then there is a real chance of Rangers finding a fourth Manager to take the reins in one Calendar Year. With off field issues becoming clearer and the boost of Merchandise Money coming in Rangers need to Challenge for everything and Challenge closely. The excuses have run out. Rangers in second for me as Project Pedro needs to bed in. Players In: Bruno Alves, Graham Dorrans, Alfredo Morelos, Ryan Jack, Fabio Cardoso Daniel Candeias, Carlos Pena, Eduardo Herrera. Loan: Dalcio. Out: Barrie McKay Joe Garner, Matt Crooks, Billy Gilmour Philippe Senderos, Rob Keirnan, Clint Hill. Loan: Andy Halliday, Michael O’Halloran. Aberdeen in Third seems a strange choice given their summer. Management team sign new contracts and already a good start in Europa League Qualifiers. The sad truth is though that Aberdeen last year’s Brides Maids in chief are in a similar position to Celtic. They have a habit of doing well in some games yet inexplicable losing points to lowly teams in League. It’s a more difficult habit to shake off too. Ryan Christie’s loan is a strange set of circumstances that makes me think all 12 points in Games against Celtic will go with the Hoops. You have a talisman in Christie scoring for fun against all but his parent Club when he is sitting in the Stand looking enviously at all in front of him. His place in starting line-up taken by someone who knows that no matter what they do next week Christie is in and they are on the bench. It’s the rules of the SPFL but it sure makes you think what ambition Aberdeen has. 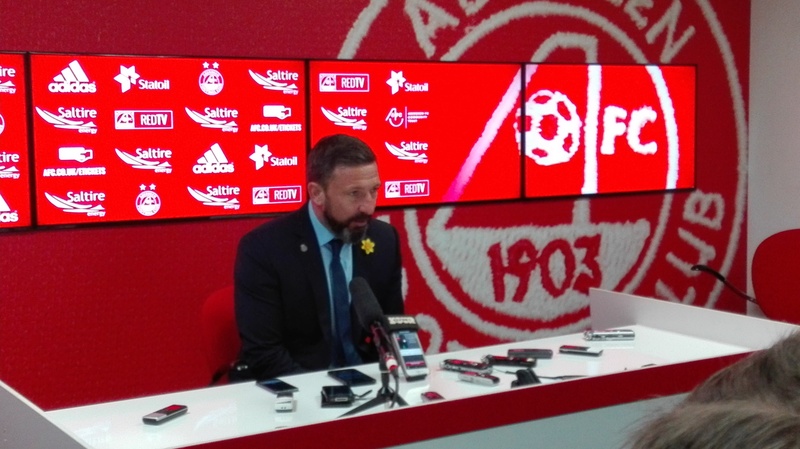 Pittodrie is also distracted by various off field issues, Planning Permission for new Stadium version two at Kingsford in addition to the stories that won’t go away regarding Kenny McLean and Derek McInnes. In spite of strong statements by Aberdeen Football Club and McInnes these stories keep resurfacing. That is not an accident. New Funding in the Boardroom means that unless careful Demarcation exists then with Stuart Milne, The Donald’s and now Cormack are we looking at a three headed Monster ready to explode painting the Pittodrie Board room Red with Blood? It’s my gut feeling that the Dandies are not as strong as previous two seasons and will finish third in May. In: Gary Mackay-Steven, Kari Arnason, Greg Tansey, Nicky Maynard, Loan: Greg Stewart, Ryan Christie. Out: Jonny Hayes, Ryan Jack, Niall McGinn, Ash Taylor, Peter Pawlett, Neil Alexander, Cammy Smith, Lawrence Shankland. 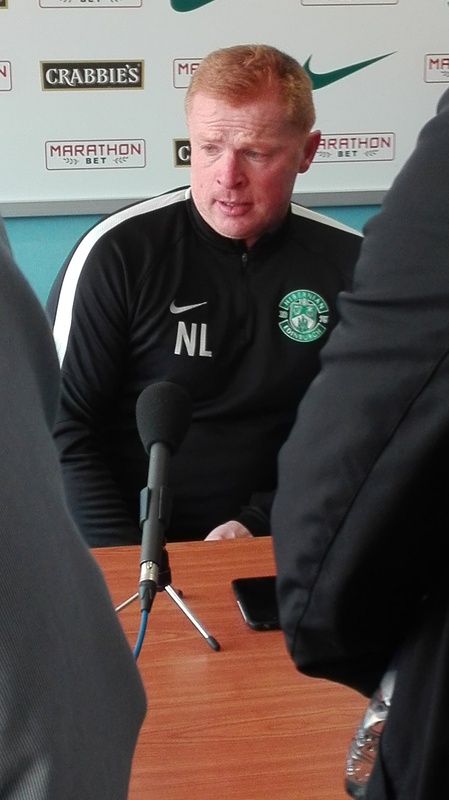 Hibernian in fourth and its tight but the often snarling driving force of Neil Lennon can not be under rated or ignored. The massive Leith Legions still on a high from Cup and League wins in last two years backing a typically Attacking Lennon Team simply is not going to quietly bed into the Premiership. Good Signings from Lennon over the summer means that a very Creditable fourth and European place goes down Easter Road. In: Vykintas Slivka, Efe Ambrose, Ofir Marciano, Danny Swanson, Deivydas Matulevicius, Steven Whittaker, Anthony Stokes, Simon Murray. Out: Jason Cummings, James Keatings, Chris Humphrey, Grant Holt, Fraser Fyvie. Kilmarnock have assembled a Dream Team in lots of ways On the Park in the Dug out but ranker still enhabits the Rugby Park Board Room. Billy Bowie has yet to cleanse the spectre of Michael Johnstone, the signs look good for the Tanker Millionaire but its time to repair the damage done by others over a decade. Lee McCullough is a exceptional young manager he has without doubt learned from masters and has acquired a good selection of Players who will often shock in both winning games they should not but sadly for theKillie faithful losing points they should of secured too. That is the Killie way its built in to the bricks. I do feel though that McCulllough will have more positive shocks for his club than negative ones. Pleasing for the You Tubers in Ayrshire but a solid fifth for Kilmarnock. In: Chris Burke, Cammy Bell, Gordon Greer, Kirk Broadfoot, Lee Erwin, Alex Samizadeh, Dom Thomas, Stephen O’Donnell, Calum Waters, Daniel Higgins, Alan Power. Out: Dapo Kayode, Jack Whittaker. Loan ended: Kristoffer Ajer, Conor Sammon. St Johnstone Tommy Wright is a brilliant Manager with a Cup Win and solid league Placings but you got the feeling last term that a era was ending. Suddenly Cup Winners got outnumbered by new personel and the spirit of the saints had lessened. Its for this reason I think The Perth Saints will land in sixth next year. McDermid has all the feel of a rebuilding project. No doubt St Johnstone will be solid well organised and able to punish you for mistakes as is the Tommy Wright Signature Team but I feel they wont be able to hurt or create as they restock the squad to revisit the glory days. In: Stefan Scougall, Kyle McClean, Scott Tanser, Loan: Michael O’Halloran, midfielder (Rangers). Out: Danny Swanson, Tam Scobbie. Hearts in seventh. No one is sure how the Structure at Tyncastle works with Craig Levin it is not a clear as the metal structure of the New Main Stand in Gorgie. It is possible that now good players are not being taken down the Cul De Sac of Cathro Place that they might be able to walk down Gorgie Road. Confusing at best of times and that sums up Hearts on the field of play. You are never sure what kind of performance you will witness from minute to minute. You are never sure who is making the tactical changes and you are never sure whos hand is on the tiller. This appears to affect players too. The rebuilding Tynecastle means that no Home Games in first month of season could find The Jam Tarts pitiful away form meaning they are detacted eight games in. In: Kyle Lafferty, Christophe Berra, Rafal Grzelak, Michael Smith, Cole Stockton. Loan: Connor Randall, Ashley Smith-Brown. Out: Bjorn Johnsen, Callum Paterson, Perry Kitchen, Sam Nicholson, Gavin Reilly, Billy King. Partick Thistle what can you say about Partick they are just solid well organised and a true team. Unity of purpose, Singulary Focused on the same Goal. Alan Archibald sells his squad a vision that the whole club signes up too. I do not think they will repeat last years top six place but I do not think they will trouble relegation in Eighth. In: Niall Keown, Blair Spittal, Jamie Sneddon. Loan: Jordan Turnbull, defender (Coventry City). Out: Liam Lindsay, Mark Ridgers, Ade Azeez, David Amoo. Ross County will miss a top flight Highland Derby with Inverness Caledonian Thistle Dropping down to the Championship. The Closest Away Game to Dingwall being a trip to Aberdeen. Not the biggest Home Support and a small core of away fans some you cant imagine Atmosphere being a big part of Ross County’s game plan. No one will like a trip up to the Highlands at any time of the season and this travel might just secure enough points to keep Ross County up and clear of the dreaded Playoff and Relegation spots. The Victoria Park team will have to wait til well into April before they will be safe in the knowledge they wont be at risk of following Inverness down a league tucked into Nineth place.. In: Billy Mckay, Thomas Mikkelsen, Sean Kelly, Jim O’Brien, Tom Grivosti, Loan: Jamie Lindsay, midfielder (Celtic). Out: Liam Boyce, Chris Burke, Ian McShane, Paul Quinn, Jay McEveley, Jonathan Franks, Oscar Gobern, David Brownlie, Chris McLaughlin, Matt Hall. Dundee in tenth no matter what way you look at it Paul Hartleys left overs to ex pundit Neil McCann just seems to lack on all fronts. No talisman player, a real lack of Team Unity, No solid Defensive look and a untested Manager Tactically used to passing comment with no pressure in the warm surrounds of a television studio not when the heat is turned up in the dug out. In: Glen Kamara, Randy Wolters, Sofien Moussa, Jack Hendry Lewis Spence, Elliot Parish, Roarie Deacon, Loan: Scott Allan, midfielder (Celtic). Out: Rory Loy, Kevin Gomis, Nick Ross, Daniel Higgins. Motherwell look like a Club on and off the field that are in the grasp of turmoil. The Fan ownership model they are using seems to be in need of restructuring with not enough hard Cash coming in to support the Club. Losing Scott McDonald to Dundee United seems to sum up whats wrong. The Drive of the Austrailian that permulated the Squad infecting his will to win almost certainly kept the Fir Park side up last term. Its more than likely that Moetherwell will meet Dundee United in a Playoff and with the loss of experienced campaigners Well do not look equipped to be a force even in the bottom Six. The rocky road of a return to the Playoffs for Motherwell. In: Cedric Kipre, Alex Fisher, Russell Griffiths, Craig Tanner, Gael Bigirimana, Andy Rose, Charles Dunne, Trevor Carson, George Newell, Dylan King, Liam Brown. Out: Dom Thomas, Scott McDonald, Craig Samson, Lionel Ainsworth, Joe Chalmers, Keith Lasley, Craig Clay, James McFadden, Stephen Pearson. Hamilton are the perennial favourites for Relegation and this year is no different only complete collapses by other Clubs has saved them in the past. Not as organised as Partick, with good players but not standouts and barring the 4G Pitch no real Unique Selling Point. They are no whispers of outstanding youth players. Martin Canning is a good manager and brilliant Coach. He Manages the issues and Coaches the players with a unease at times but I feel that you cant keep hanging about at the bottom of the League dodging the Championship dragnet without being caught eventually and dragged down. In: Xavier Tomas, Ryan Fulton, Out: Gramoz Kurtaj, Blair Adams, Craig Watson, Jack Breslin, Alex D’Acol, Jesus Garcia Tena, Danny Seaborne.